Critical and disruptive incidents can occur at anytime. That’s why you need a mobile-first strategy for mass emergency notification to quickly communicate with your team. 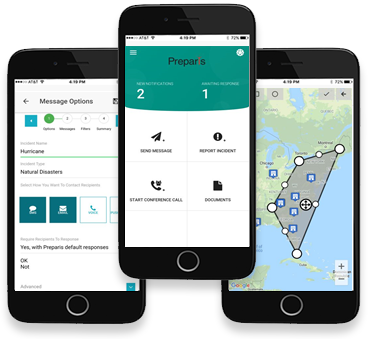 Keep your workforce prepared, protected and ready to communicate with Preparis.